Dallas Aurora 2013 was way over the top this year! 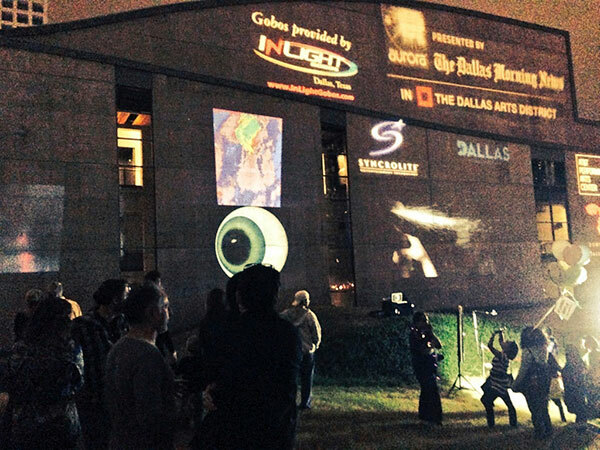 Thanks to big sponsors like the Dallas Morning News , BenQ and many others we had lots of promotion and the latest in projection technology to showcase our work. Joshua King, Shane Pennington and Catherine Cuellar organized and executed by far and away the biggest public art event the city has ever seen! Aurora 2011 was big and we all knew we were part of the beginning of something that could be huge but this years event was truly massive! Talking with Joshua and Mari earlier this year their goal was to top 2011 and I think they killed it! I ran into many artist and art friends at this event who all exclaimed that this is the first time this city has felt like a real emerging world class place of art and culture. Thousands of people visited my installation and nearly a thousand actually walked the red carpet to knowingly or unknowingly have their portrait sketched. Many others were sketched unwittingly by just being in the vicinity. My favorite sketches were the ones that caught the patrons in the moment of surprise and realization that a sketch of their face was being projected on the side of the Dallas City Performance Hall. In the new surveillance age we live in, everywhere you go you are being watched and your actions are being recorded. Using the same facial recognition technology agencies use to track people in surveillance footage, this interactive art installation will track its patrons and sketch them on the side of a building live. 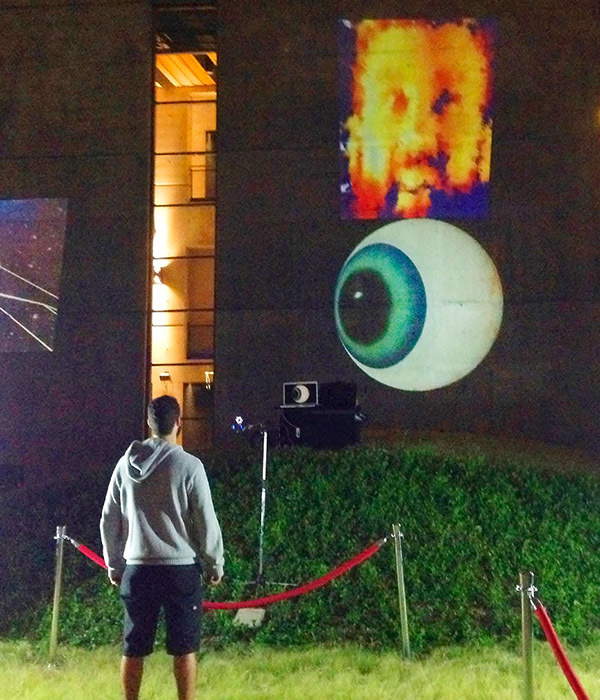 This interactive installation will use cameras and facial detection to sketch/paint the viewers of the installation while they are standing in front of it watching it paint. Below is the Flickr gallery with the complete set of photos and most of the good sketches of the patrons.